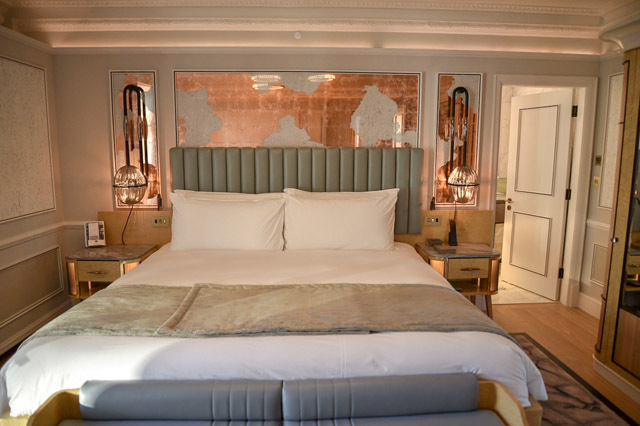 There is a grandeur found with the Mandarin Oriental Hyde Park that has very little competition in London when it comes to luxury hotels. 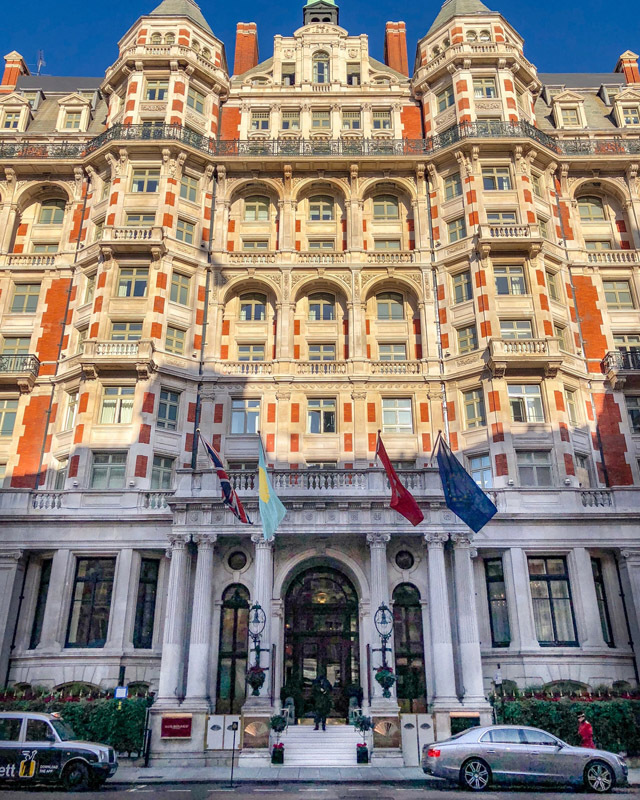 It sits in Knightsbridge like a member of the royal family, overlooking her kingdom, with a facade that is both greatly intimidating and equally intriguing. There is history here. 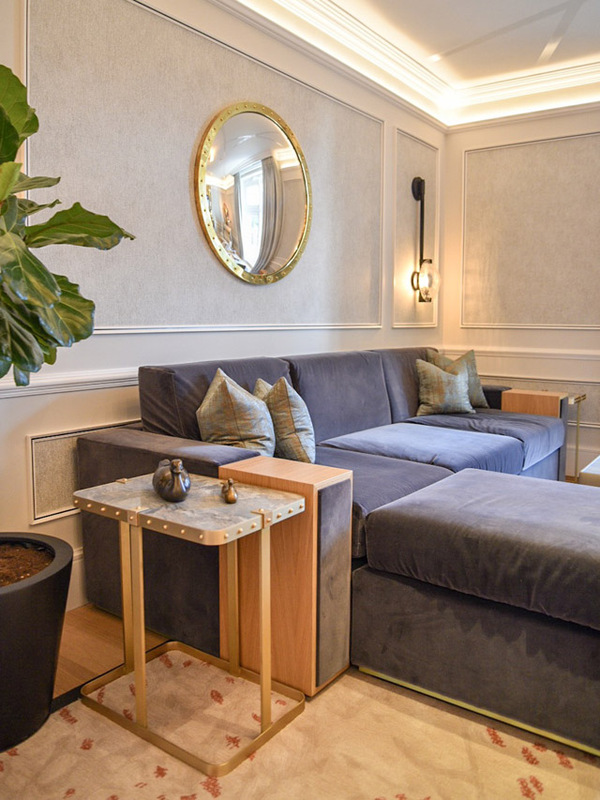 The Mandarin Oriental Hype Park, however, knows when history needs a bit of touchup to meet the needs of the contemporary guest. Over the past year, the hotel has undergone some significant changes in decor in order to accommodate these needs. While their renovation will continue throughout the year 2018, the hotel has reopened its famed main entrance, a new lobby and reception. 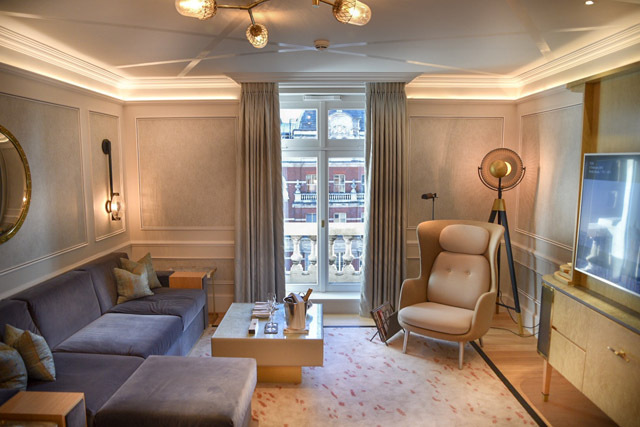 They've also finished their new Knightsbridge Wing which includes a mix of 96 rooms and suites. 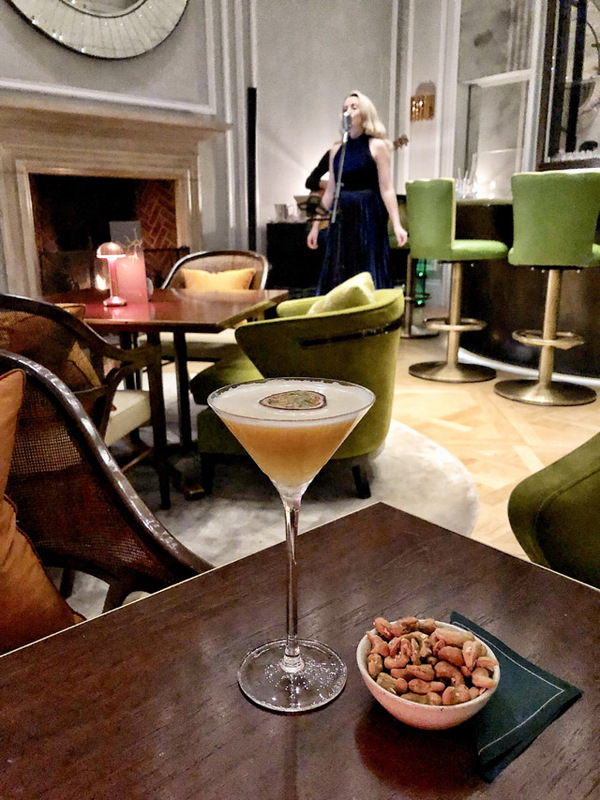 I was invited, by Mandarin Oriental, to come in and have a look around the new house and I have a feeling they knew they were going to blow my socks off from moment one. Simply pulling up to the Mandarin Oriental is an exercise in luxurious perfection. Men in top hats are at your taxi door before you can pay and wave goodbye. Your luggage is swept away and you are drawn up the staircase and into the new reception, just to the left of the entrance. My first impressions were this: massive change, same incredible service. 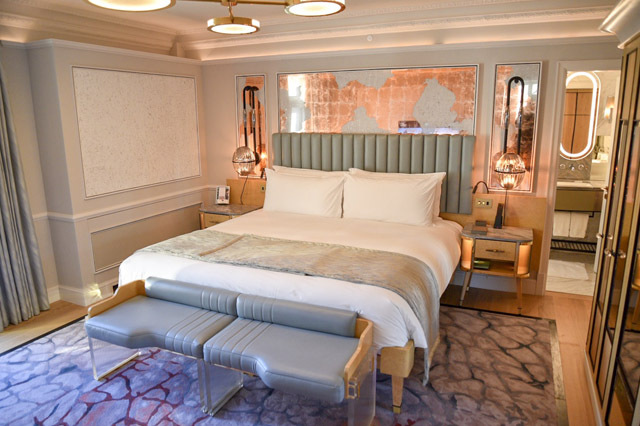 The new design of the Mandarin Oriental Hyde Park has taken advantage of the beautiful natural light that streams in from Knightsbridge. Large bay windows sit opposite the reception desk, where a seating area would be an option if you were waiting for other parties. It certainly isn't an option at check in, as I waited a mere two minutes while they scanned my credit card, handed over the keys and wished me a pleasant stay. As I made my way to the fifth floor, I found it quite amazing how different the new section of the hotel was. There is a door that you open where you quite obviously walk from old to new. The experience is like walking into a different century. But, not to worry, you still feel as if you are in another time. 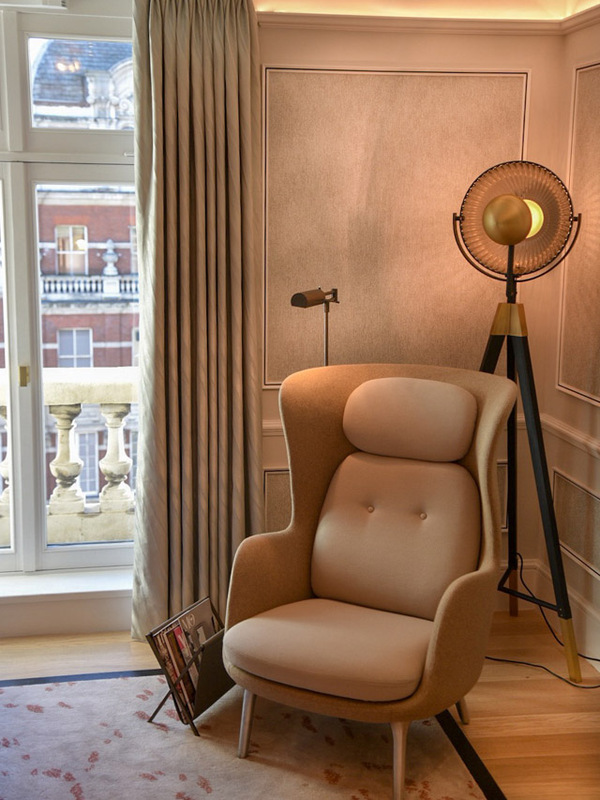 The old Mandarin Oriental Hyde Park felt as if you are were stepping back to turn of the 19th century luxury. In 2018, their renovations have taken you to the golden age of luxury. On this day, I was living life as F. Scott Fitzgerald would have imagined for The Great Gatsby. This is art deco at its finest. 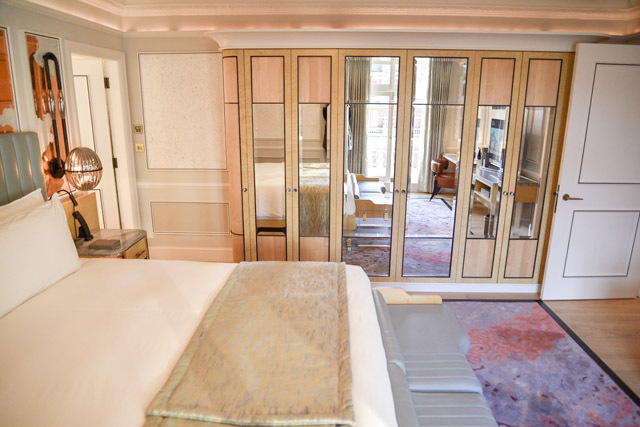 Swanning through the halls, on the way to the Knightsbridge Suite, I notice the horsehair decorated light sconces above my head, the pastel coloured decor around me and the heavy gold and marble accented doors to the suites on either side of me. Yes, this renovation is impressive, to say the least. The real drama happens when I open the suite door. Directly in front of me I find a hall way that leads to three different rooms. Directly forward, there is a floor to ceiling mirrored hall with a closet on one side and a powder room to the front. To my left, there is an elaborate sitting room, complete with a plush velvet L-shaped sofa, an arm chair I wish I could take home with me and a view of Knightsbridge that is purely priceless. As I turn my back to the window, I notice a rather ornate acorn chandelier sitting in front of the most luxurious desk space I have yet to discover in a hotel. 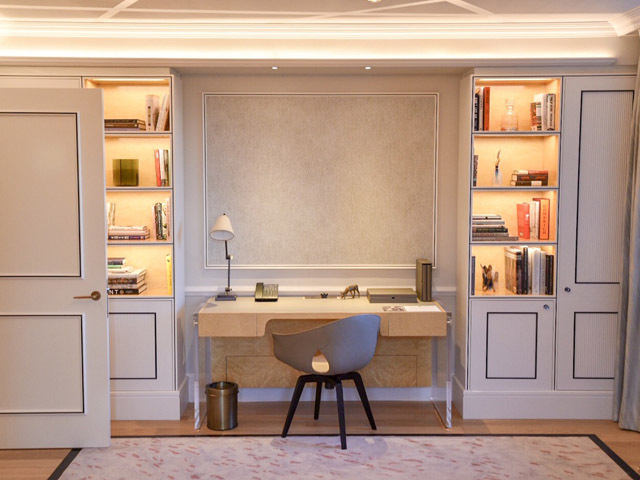 A large leather topped desk is flanked by two book shelves that contain books that have been specially curated in partnership with Heywood Hill. This is the library of my dreams, featuring a collection of novels I've been dying to dive into and books on London I never even knew existed. Oh, and while we're talking London, not sure if you've noticed but there's a very real theme here reflecting the beauty of Hyde Park that sits just behind the hotel - the acorn chandelier, the horsehair scones, the Fromenthal wallpaper.... seeing a pattern? As I exit the sitting room and make my way across the entrance hall, I enter into the bedroom of the suite. If ever there were a moment to gasp at the excellence of interior design, it is here. Rose gold details, soft luscious blue leather, rich plush pinks and white woods stare back at me, welcoming me for a night of luxury. This isn't just a hotel room, this is my dream bed room. And one jump onto the bed promises a night to remember... a night of actual sleep! But, wait, there's more. The bedroom has an ensuite bathroom. Again, if I could reproduce any hotel bathroom, I think I've found the one for me. 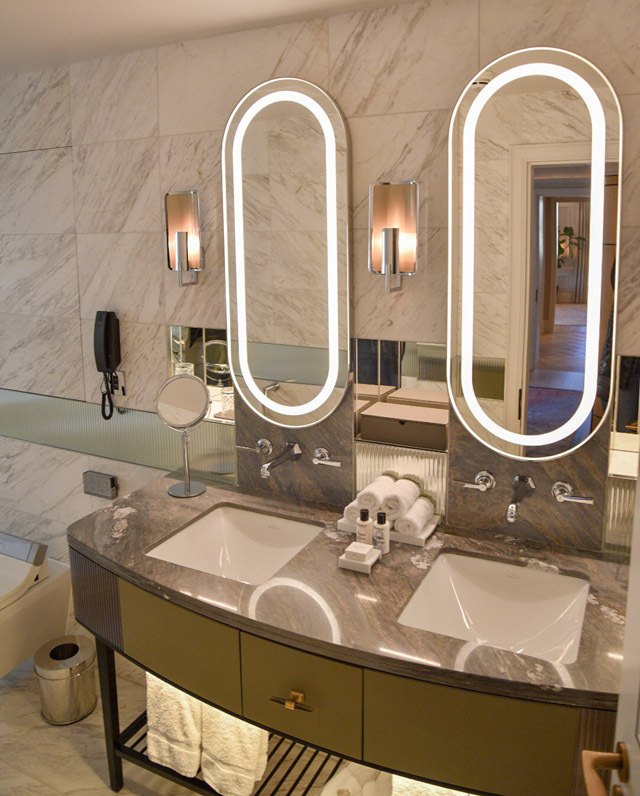 They've thought of everything, from enclaves for your personals, to lighting that comes on automatically when you enter the room - no having to hunt down annoying switches in the middle of the night. 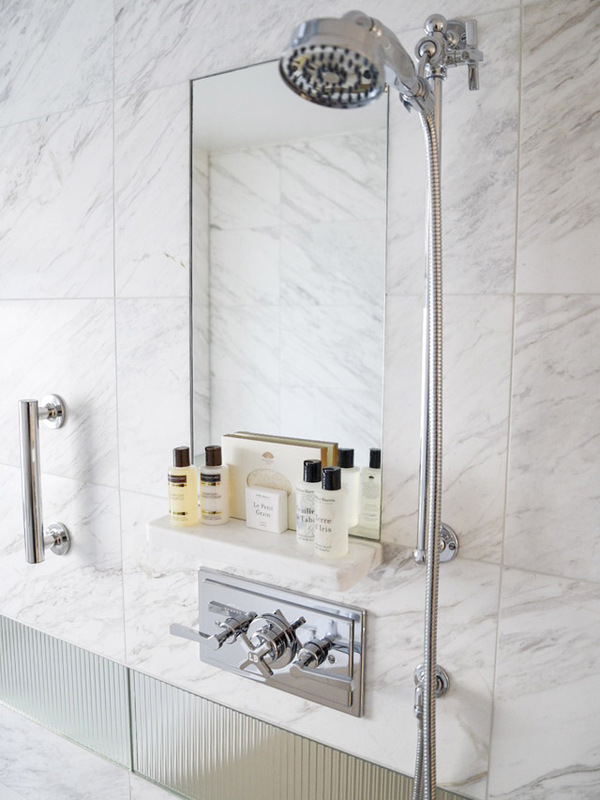 In the walk in shower, there are two brilliant ideas- the first is a fogless mirror with a shelf for your shampoos, etc and the second is a bathtub. 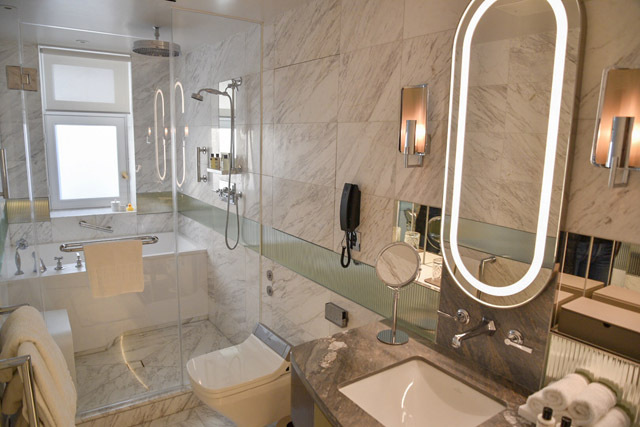 Yes, there's a giant bathtub as part of the shower. No more worrying about overflowing the tub or splashing around a bit. It's all fine when the shower next to you is catching the excess. I mean, this is brilliance on another level. Oh, and it's an actual a tub made for soaking (and big enough for two). Let's just say I got in, with a book from the library, and didn't want to get out. Now that I've walked you through the dream room scenario, let's touch on hotel services. First of all, everyone knows that the spa at the Mandarin Oriental Hyde Park is a thing of true greatness. To stay in the hotel and not visit would be a massive misstep. Just putting that out there. 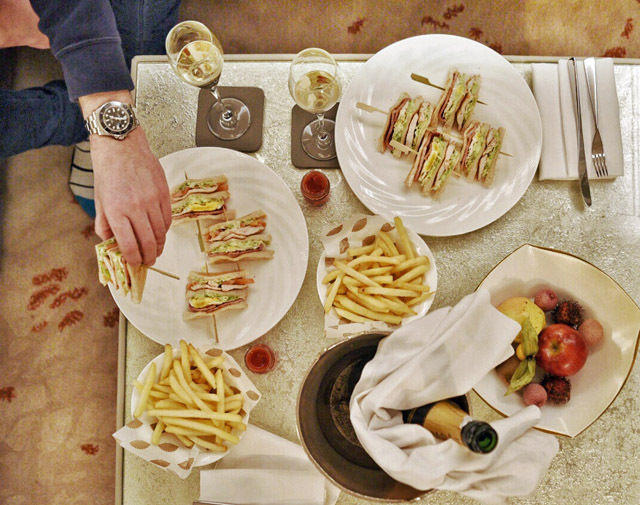 Also, room service is on another level. It's fast, the food is always amazing, and hot, and the people who deliver your food are some of the nicest in the business. This is no lie. They always arrive with a smile on their faces. 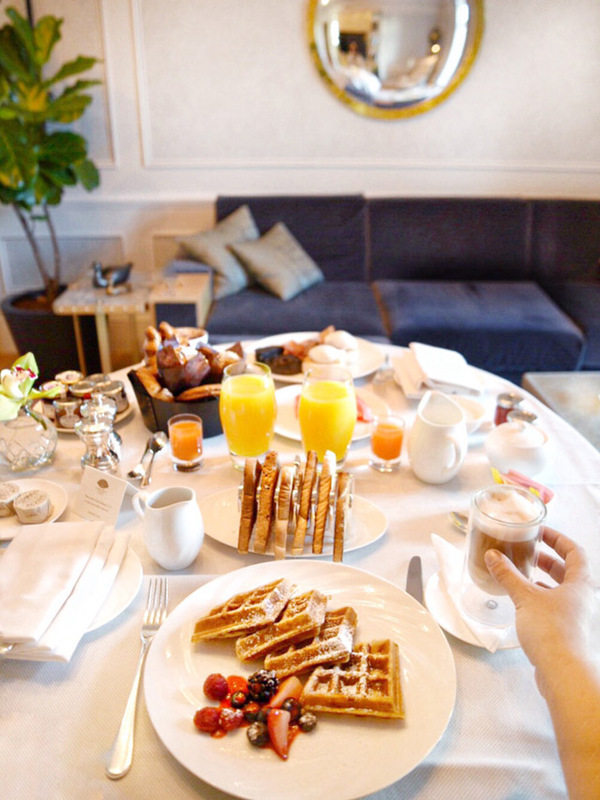 And last, but certainly not least, the hotel is full of amazing eateries, for those who wish to be a little less anti-social than myself and get out and about. While in residence, I did pop down to Rosebery Lounge, where they have live entertainment on evenings from Tuesday- Saturday, 6:30pm-9:30pm. This was a true treat and fell nicely into my Gatsby-like adventure. I sipped one of the best fruit cocktails I've ever had in my life and was serenaded by a woman who would give Adele a run for her money. I must say this was my second favourite experience, behind the room itself, while staying at the hotel. And for any Londoners, may I say this is just a fabulous night out if you're out on the town. It's a great start to the evening, sitting with friends, enjoying cocktails and listening to some amazing musicians! 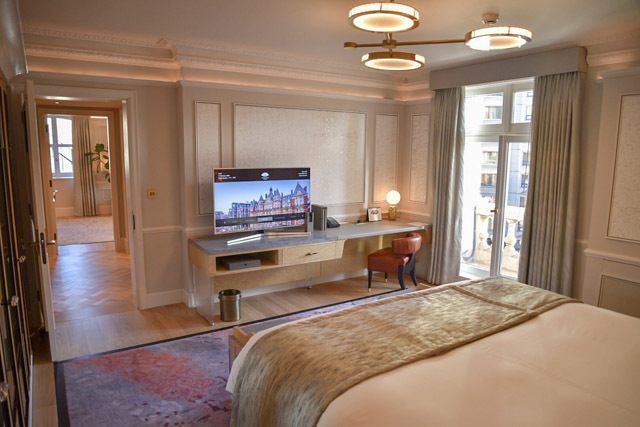 For more information on booking a stay or visiting one of the many Mandarin Oriental Hyde Park bars or restaurants, visit the website now! 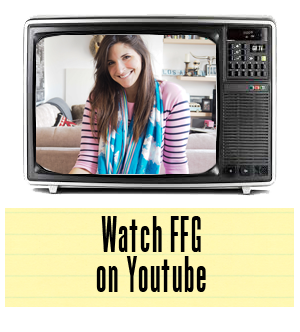 Full Disclosure: FFG was a guest of the Mandarin Oriental Hyde Park.